Portsmouth Harbor Light, the station was established in 1771. The present lighthouse was built in 1878 and it was automated in 1960. Height of tower: 48 feet; Height of focal plane: 52 feet. Optic: Fourth order Fresnel lens (1854). Characteristic: Fixed green (produced by green acrylic cylinder around lens), visible for 12 nautical miles. 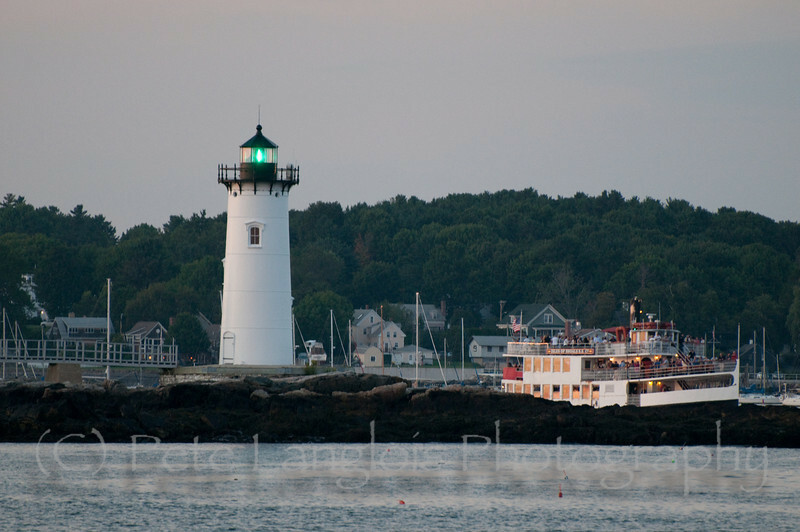 This lighthouse was featured on Ghost Hunters on SciFi (SyFy now) by the members of T.A.P.S. (The Atlantic Paranormal Society). Portsmouth Harbor Light taken from Fort Stark in New Castle, NH. The station was established in 1771. The present lighthouse was built in 1878 and it was automated in 1960.